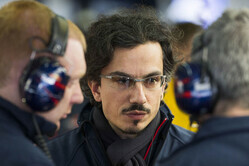 Ferrari has followed Renault's example and recruited a high ranking FIA official, Laurent Mekies. According to a brief press release issued this afternoon, Mekies, will join Ferrari on September 20, and will report to technical director, Mattia Binotto. Mekies, who first entered F1 in 2001 with Arrows, subsequently headed to Minardi where he was race engineer to Mark Webber, Justin Wilson, Zsolt Baumgartner and Christijan Albers between 2002 and 2005, before being promoted to the role of chief engineer in 2006 when the Faenza outfit was purchased by Toro Rosso. Between 2013 and 2014 he was head of vehicle performance at Toro Rosso before joining the FIA as Safety Director in 2015. In 2017 he was appointed Deputy Race Director, though he continued in his role as Safety Director and was heavily involved in the development of the Halo device. As Deputy Race Director he worked alongside Charlie Whiting throughout 2017, dealing principally with sporting matters, and was widely considered the obvious successor to the Briton. Confirming the move, the FIA said: "Until his departure at the end of June, Mr Mekies will continue to act as FIA Safety Director. However, he will immediately cease all Formula 1 duties and will no longer be involved in any Formula 1 matter, stepping down from his role as Deputy F1 Race Director with immediate effect". The move is sure to create the same sort of waves of unrest that followed Renault's controversial recruitment of the FIA's technical chief Marcin Budkowski last year, teams admitting their concern that the Pole's position gave him priceless insight into their workings and future plans. Such was the furore that Budkowski's 'gardening leave' was extended from three months to six, meaning he is unable to take up his new role at Enstone until next month. A number of teams expressed outrage that only days before leaving the FIA for his new role the Pole had been privy to valuable data relating to their 2018 contenders.